"take responsibility for their own safety and security." Apparently Comey doesn't want to be spied on. In questions during a conference at the Center for Strategic and International Studies, Comey revealed that cam-covering is commonplace at the FBI and other government offices. "It's not crazy that the FBI director cares about personal security as well," he added. "If you go into any government office, we all have our little camera things that sit on top of the screen, they all have a little lid that closes down on them. You do that so people who do not have authority don't look at you. I think that's a good thing." That the FBI's director covers his cams may be a surprise to some, just as it was when people spotted Mark Zuckerberg's webcam tape-over in a photo of his Facebook desk this spring. But many of us who've been paying attention to cybercrime and punishment have been covering our webcams for years, and telling all our friends and family to do it, too. What's more surprising is that it's taken this long for officials and the press to raise the alarm. I mean, they're just a few years behind, but hey, it's nice to know they care. In 2010, a Pennsylvania school narrowly escaped criminal charges when it was caught secretly taking photos of students through the webcams on school-issued laptops. Harriton High School student Blake Robbins filed a civil suit, and the FBI launched an investigation when he found out school employees had photographed him 400 times over a two-week period -- sometimes when he was partially undressed or sleeping. School officials said they had a tracking system for finding lost or stolen laptops but admitted that the software program took images every 15 minutes without telling the user. It turns out they'd snapped around 56,000 privacy-violating pictures of students. 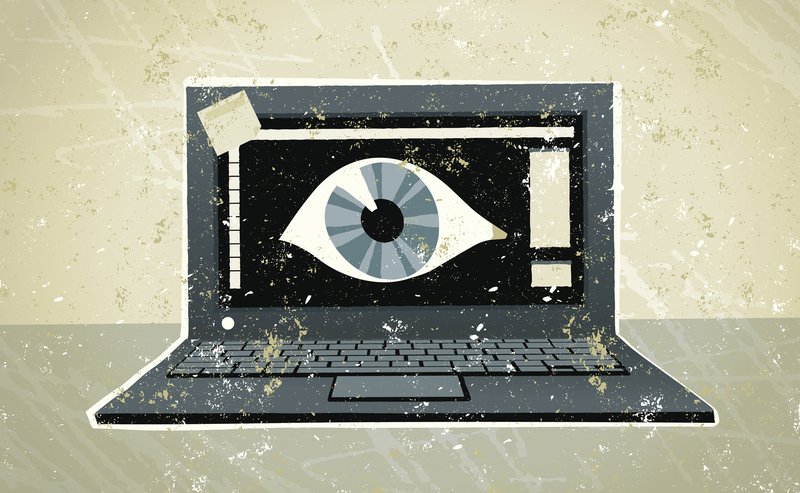 Aside from institutional malfeasance, there's been a thriving black market for compromised webcams and the video or photos they can produce -- for many years. A clearly startled 2013 BBC reporter claimed the going price for access to a woman's webcam was priced at $1 per girl, whereas computer webcams belonging to men cost $1 -- for one hundred. And even then, three years ago, it was old news. The programs that capture images, take videos and record audio are not expensive, and they do their jobs surreptitiously by overriding the "record" light so victims don't know they're being spied on. BBC's story was sparked by a case involving a Miss Teen USA contestant. A year before Cassidy Wolf won the 2013 crown, a guy in her high school used a program to hack into the webcam on her computer and take photos of her. She found out when he got into her social media accounts and tried to extort money from her. It turns out that she was one of 12 girls he had taken photos of and threatened for cash. He was sentenced to 18 months behind bars. The software is typically put on a computer when the victim clicks a link, often through an email, and the computer becomes infected with a program that hides while letting the computer's camera be controlled remotely. Known as phishing, it's the most common form of online hack attack. 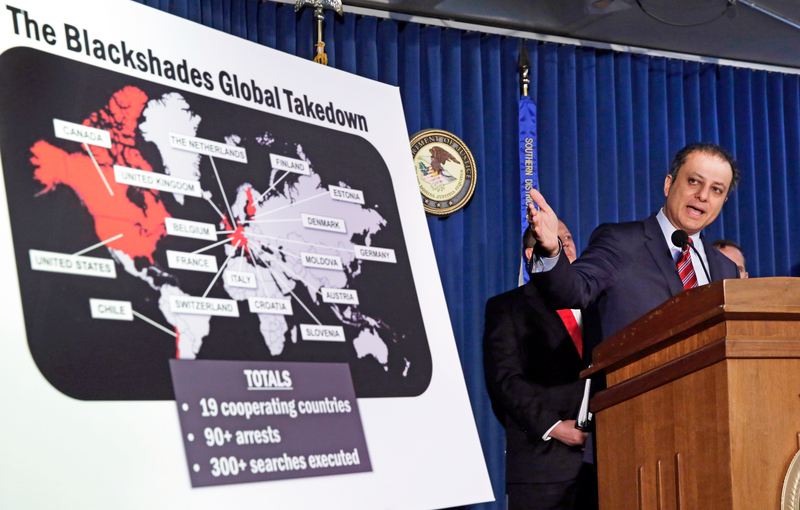 The following year, the FBI ran its largest cyber operation to date, in 2014, arresting scores of webcam hackers in over a dozen countries, who had all been using a program called Blackshades. The program has the ability to give its user access to "photographs and other files on the victim's computer, record all of the keystrokes entered on the victim's keyboard, steal the passwords to the victim's online accounts, and even activate the victim's web camera to spy on the victim -- all of which could be done without the victim's knowledge." The malicious tool was shown to have been purchased by several thousand hackers in over 100 countries, infecting more than half a million computers around the world. After her harrowing experience, Ms. Wolf now tapes over all of her webcams, and so should we all. Everything has a camera. Your phone, your laptop, your tablet. If you have a modern device that can get online, it probably has a camera. And if it has a camera, someone looking for cash or scummy thrills has probably figured out how to hack it and turn it on without your knowing. Protecting yourself is as easy as taping it up, just like Zuck and Comey. Sticky notes work well because they have a gentle adhesive, and you can also find privacy stickers for purchase online that are made specifically for putting on (and taking off) web and phone cameras. Perhaps what's such a facepalm isn't the irony of the FBI telling us how not to get spied on, or why cam-covering is such a wacky idea to Comey's friends. It's that the FBI is acknowledging to the public that, really, it's "everyone for themselves" when it comes to technology and personal security.